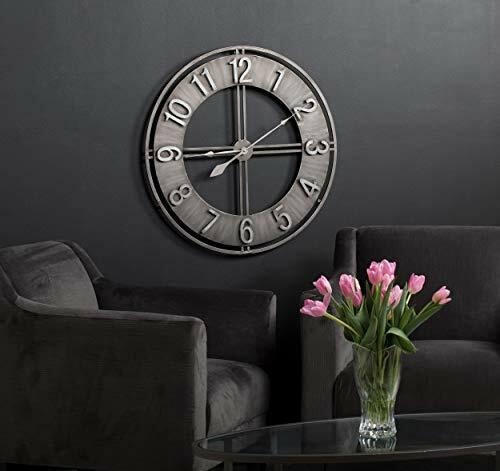 This dramatic and bold wall clock by Studio Designs Home is forged from sturdy iron and is sure to grab everyone's attention. The raised Arabic numerals and artfully designed metal hands make both its style and construction a unique addition to your home. Its extra-large 30-Inch diameter and brushed finish demand your attention. The ornate hour and minute hands move with an accurate quartz movement. Requires one AA alkaline battery (not included). If you have any questions about this product by Studio Designs Home, contact us by completing and submitting the form below. If you are looking for a specif part number, please include it with your message.